The first West Coast rock vocal group of note, their career spanned thirteen years on record and for many of its members they spent the rest of their lives singing together, as they were still appearing on stage in various aggregations into the 21st Century. In spite of this longevity The Robins themselves have over time become mostly glorified footnotes in the careers of two other related acts, that of Johnny Otis as well as The Coasters. The core members of The Robins were from Oakland, California and got their start while still in school as a trio consisting of Terrell Leonard (professionally known as Ty Terrell) and two brothers, Billy and Roy Richard. After graduating the three headed south to Los Angeles to try and make a career in music and wound up at Johnny Otis’s Barrelhouse Club in Watts where they won second prize in the weekly Amateur Night contest. The A-Sharp Trio, as Terrell and The Richard boys were calling themselves, were subsequently hired by Otis to sing there on weekends. Around the same time another aspiring vocalist named Bobby Nunn was working for Otis handling a variety of tasks around the club, possibly just to keep him around until an opportunity arose for Otis to use him singing. That opportunity came about when Otis was in the studio cutting sides for Excelsior Records in early 1949 and had the idea of putting Nunn with The A-Sharp Trio in an effort to capitalize on the popularity of The Ravens, as Nunn was a bass singer who’d be naturally complimented by the tenors of Terrell and Billy Richard, with Roy Richard filling the sound out as baritone. The newly merged group cut one record in which they were credited as The Four Bluebirds, named by Otis who received the lead artist credit on the label. Since they were merely acting as sessionists the group then went on their own to Aladdin Records seeking their own recording opportunities and chose the name The Robins which they’d keep until the group folded in the early 1960’s. When Otis signed with Savoy Records in late 1949 The Robins joined him and while many of the records they appeared on were put out with Otis as the primary artist, The Robins were credited on the label as well and scored their first hit under their own name as lead artists at this time. Their most acclaimed work during this time however came alongside Little Esther on the comedic “Double Crossin’ Blues” which was a #1 hit for 9 weeks and featured Nunn and Esther trading off lines in humorous fashion. Their time with Otis was short thanks to a falling out over credit, financial and otherwise, and The Robins subsequently made the rounds of various Los Angeles labels, both large and small and were ripped off of royalties at each stop, and of credit as well, as RPM issued sides of theirs as by The Nic Nacs. In spite of this a few of their records actually sold well in various spots even without the name recognition The Robins name would’ve provided. In late 1952 they recruited another singer, Grady Chapman, which gave them someone other than Bobby Nunn to handle lead chores and diversified their sound as well as the nature of their material and they also managed to sign with major label RCA giving them their highest profile in years. When Chapman was jailed briefly they took on another singer, Carl Gardner, recommended by Johnny Otis, who they apparently held no grudges against. Gardner stuck around when Chapman returned making them a six man group and The Robins had their most sustained run of excellence immediately after upon signing with Jerry Leiber and Mike Stoller’s new Spark Records label in 1954, as the legendary team crafted a unique comic “playlet” style for them. When Atlantic Records lured Leiber & Stoller to their label – placing The Robins “Smokey Joe’s Café”, their biggest hit on it in the process – the hope was that the group would accompany them but most of the group preferred to stick on the West Coast where they were very big draws and had called Los Angeles home their entire professional lives. Bobby Nunn and Carl Gardner felt otherwise however and promptly went east with Leiber and Stoller and formed The Coasters who embellished the style that had been started with The Robins. The remaining group, now down to the original three members plus Grady Chapman but no bass singer, brought in H.B. Barnum to fill Nunn’s role as they carried on under disc jockey Gene Norman’s Whippet label. Though there’d be no hit making third act for the group they did remain active, releasing a lot of songs over the next few years and touring constantly. When Grady Chapman, who’d been cutting solo records on the side for some time, left in 1957 he was replaced by Bobby Sheen and later Billy Richards nephew, also named Billy, joined them to close out their run in the early 1960’s. 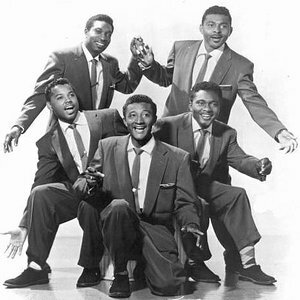 The Robins final years saw them record for a number of small labels, including getting back together with Johnny Otis on his Eldo label briefly, but the group broke up in 1962. The members however mostly kept their hand in the business, with Barnum becoming a well regarded pop music producer, while Sheen recorded for Phil Spector in the 1960’s as Bob B. Soxx And The Blue Jeans with Darlene Love, while oddly enough at one point or another many of The Robins joined former member Bobby Nunn’s later edition Coasters group… the same group that formed initially because they hadn’t wanted to move across country. On occasion surviving Robins would reunite for a performance but one by one they began passing away. Roy Richards in the late 1970’s, Bobby Nunn in the mid-1980’s and the others at various points in the Twenty-First century. Though they’d had just a handful of national hits their legacy, both in terms of style and the ensuing careers of various group members, made them among the most noteworthy vocal groups of rock’s first full decade. As sidemen… for Johnny Otis.